Abdominal Roller Wheel is designed specifically for today’s Athletic generation. Fitness is not just a hobby. It is a way of life. It is very compact, lightweight and multi-functional. Comes with a easy to carry travel bag so you can take virtually anywhere. 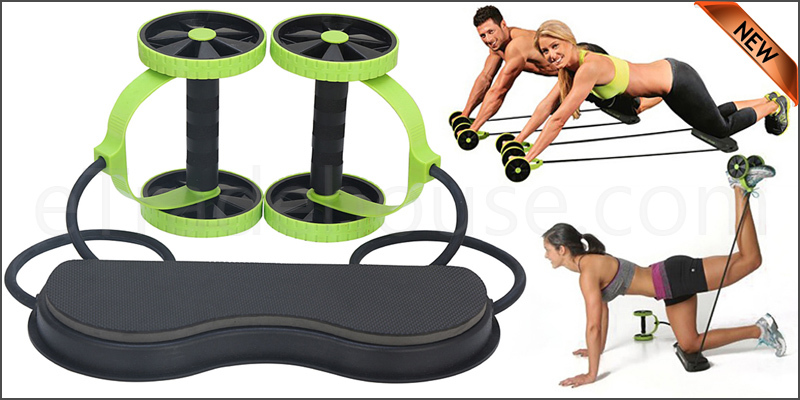 With this exercise machine you can 6 level of training with 44 different postures. This Roller GYM is made from Strong ABS Plastic Material which is light yet strong enough to withstand shock and pressure. · Helps strengthen chest, back, arms, shoulders and abs in one motion. · 6 Levels of Training with 44 different workout postures.